The secret to success, whether you plan to buy, rent or sell a Delaware timeshare, is BuyATimeshare.com. Find the cobblestone streets, tax-free shopping, and old haunted mansions that have made Delaware so Famous. 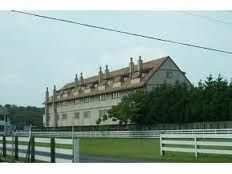 Lodging can be found throughout the state, so be sure to log on to BuyATimeshare.com for the best listings when you are looking to buy or rent Delaware timeshare. If you plan to sell Delaware timeshare, BuyATimeshare.com can help you with the process as well. With landscapes made famous by Andrew Wyeth's paintings, Delaware offers a unique and cultured experience to travelers of all ages. One of the best cultural encounters has to be the Delaware Museum of Natural History. Located in Wilmington, the museum boasts a butterfly garden, ocean reef environments, and life-sized dinosaur replicas. The Delaware Agriculture Museum and Village features music, exhibits, and a recreated 19th century rural village. While vacationing at your Delaware timeshare, you might also enjoy viewing a production from the Delaware Theatre Company, or a visit to the Hendrickson House and Museum, which was built in 1690. For more history and heritage, the Fort Delaware State Park is a Civil War-era fortress and jail that was once home to more than 30,000 confederate, federal, and political prisoners. 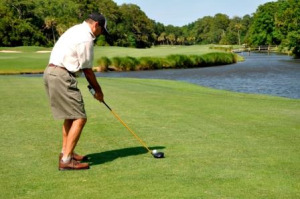 With unique attractions like these, and with the services of the experts at BuyATimeshare.com, you'll be able to sell Delaware timeshare in no time. If you're someone looking for comfortable lodging for your annual vacation, look no further than BuyATimeshare.com and buy Delaware timeshare. In Wilmington you can climb the one-hundred-year-old Rockford Tower. Expansive views of the Brandywine River Valley greet you at the top this stone structure. Delaware also has boundless amounts of exhilarating outdoor activities to choose from. Fenwick Beach offers water sports like kayaking, sailing and fishing. Several amusement and water parks provide even more wet and wild enjoyment. From golf courses to ice-skating rinks to the Brandywine Zoo, you'll run out of time before you run out of things to do in "chateau country." Speaking of "chateau country," Delaware's vineyards, taverns and wineries will satisfy your appetite for delicious fun. You can buy Delaware timeshare for a couple's getaway year after year, or rent Delaware timeshare during the fall for stunning sunsets and foliage while you sip your wine. While taking pleasure in Delaware's glorious outdoors, don't miss the Bombay Hook Wildlife Refuge in Smyrna, with over 15,000 acres of tidal salt marsh and majestic herons soaring above. Or catch a race at one of two thrilling tracks; the Dover International Speedway or the Delaware International Speedway. Summer Place, a resort in Bethany Beach, can also be found in Delaware. Delaware can be your secret! Take a break from sightseeing and cash in on the advantages of tax-free shopping at any of the state's farmer's markets, boutiques, name-brand outlets and antique shops. Rent Delaware timeshare for a fun girls-only trip and shop 'til you drop! For a truly unique Delaware timeshare vacation experience, grab a spot on one of the state's haunting ghost tours or scenic biplane tours! When you're ready to relax and unwind, you'll find a selection of spas throughout the state whose only purpose is to pamper! A trip to Delaware can be as tranquil or electrifying as you wish it to be. Warm, peaceful summers are perfect for trekking through Delaware's mountains, beaches, and historic cobblestone streets. A vibrant fall season and a mild winter both provide cozy backdrops for dining, shopping and entertainment in any of Delaware's charming towns. You'll feel a million miles away at your Delaware timeshare, whose surrounding mountain ranges seem to protect it from discovery. Delaware can be your secret! And the secret to success whether you plan to buy, rent or sell Delawaretimeshareis BuyATimeshare.com, of course! The secret to success, whether you plan to buy, rent or sell a Delaware timeshare, is BuyATimeshare.com. Find the cobblestone streets, tax-free shopping, and old haunted mansions that have made Delaware so Famous. century rural village. While vacationing at your Delaware timeshare, you might also enjoy viewing a production from the Delaware Theatre Company, or a visit to the Hendrickson House and Museum, which was built in 1690.